Meccarroll wrote: Hi again Rich, and thank you again for your update on pricing. I still think that the costing need to be refined a bit but you do seem to be moving quickly on it. Not really sure how you got £51,000 verses £10,000. Add in £500 for mistakes, things I didn't think of etc. For a triple sash of approx 2250x1700mm with no muntins, so just 6 panes, in Accoya, with only the middle sash opening, using proper cords and weights not springs, I am looking at £4500 fitted. That's £18,000 for the four windows all with three sections having six sashes each. That's £18,000 professionally fitted as opposed to £8680 DIY fitted windows (made and fitted by yourself). This gives you a saving of around £10,000 on four windows if you make and fit them yourself. Not a bad saving BUT!!! I'd now take an in depth look at the cost of machinery, try to consider the tooling as well as this can be more than the cost of the machinery in some cases. You will then have a better impression of how much you may actually save. It may be worth considering obtaining quotes for the bare windows complete but unprimed and unglazed and you collect (just as an alternative). Sorry £2170 was for 2 triples! Vs £9500 fitted. I may decide to get some basic/used machines an make a single sash first. We have one that will need doing. It's only a small window so will be managable. thatsnotafestool wrote: Where are you based, Rich? Ah, my bad, Dorset. You're out of luck as those machines are near Edinburgh ! Ellis is another 'Go-to' book IMO. rich3911 wrote: I may decide to get some basic/used machines an make a single sash first. We have one that will need doing. It's only a small window so will be managable. It Makes sense to make one complete sash window, box,sashes,pulleys etc and as I said look at building regs to know what you need to do so U value , draught excluder,toughend glazing etc and you will need to do the work under a local Authority "Building notice" which basically means the Building inspector will inspect the work to make sure it complies with regs and he will sign off the work. Then when/if you sell the property you wil be fine and not have any issues. That's better, I was thinking where do all the end prices come from. Thank you for clarifying Rich. Buy anything in bulk should save you money and you should be able to obtain much better prices for your materials if you buy in one go. Be very careful though when buying timber (of any kind) in bulk (especially 4K worth). It is wise to see the timber you are buying first, inspect it and agree that is what will be delivered. Better still is to view and collect it yourself if possible. Have you thought about paying someone local to give you some advice on how to make a Box Sash Window? maybe offer to pay for a few hours tuition, worth a try if you can find someone! Some cabinet makers do short woodwork courses, you might find one local with window/joinery experience willing to teach you the basics for a few £. To be honest Rich, Leveller is correct in saying it's not an easy task. Damn right I'd be going to the timber merchants to pick the wood! I've had some right shoddy stuff delivered sometimes. Don't know why they do it as they just have to come back again and replace it! I would love to find someone who'd do some hands on instruction! I did ask on the the Joiners I got a quote from if he'd be interested in just making the timber parts and letting me do the assembly, painting and fitting. He wasn't interested (and who can blame him!) as he said there is a lot of fitting involved. I have had a look for courses but they are all site carpenter type stuff. Nope it's not easy. I can certianly see that. But I don't think I'd find it impossible. In general what condition are the sash boxes in especially where the cill and linings meet....the usual areas for decay. 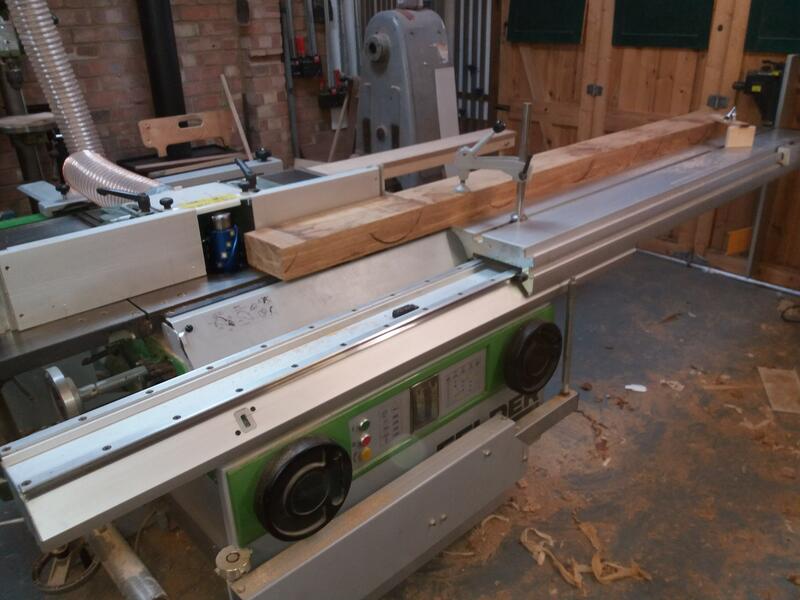 A mainstream college should do NVQ courses in Site Carpentry and then Joinery but some also offer Wood Machining. It will depend upon your local college, the facilities at the college and staff they have. You should be able to find a college that offers all three somewhere in your location, it depends upon local demand of course. You could save a lot of money if you buy the windows unglazed and unpainted and fit them yourself. I'd take a look at that option before you go down the route of trying to make them yourself. If you don't have any wood machinery experience it would probably be a good idea to obtain some before you buy your machines. I have come across quite a few woodwork teachers and machinist with missing fingers (truly) so do take care. 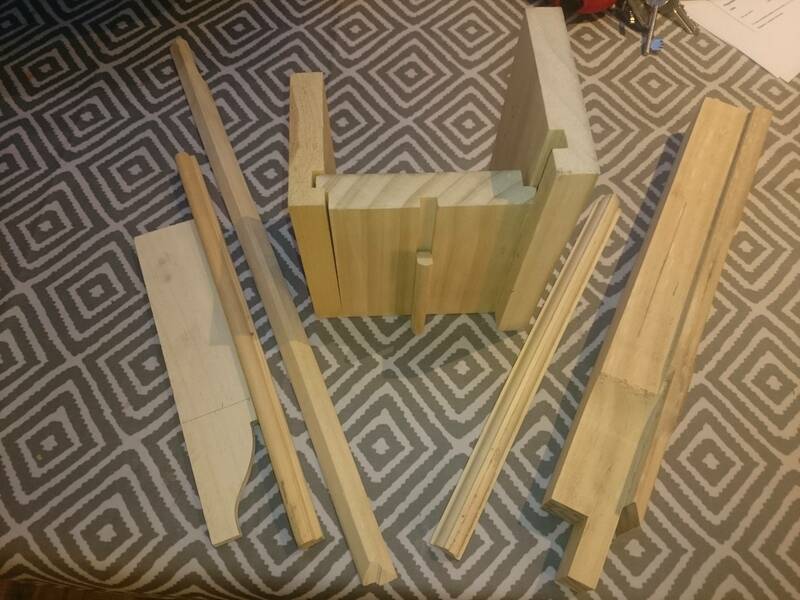 Have you thought about working out what profiles you need for the window components then paying a joinery company to run off the sections for you. Get a company to pre-mould the stock for you. You would only need to buy the sash and cill sections in pre-moulded stock, the box sections could be done with a router yourself. When I was a lad the company I worked for had very little woodwork machinery and so they bought in pre-moulded window sections and then we made the windows from it. We marked the tenons out on the pre-moulded stock then cut them by handsaw. For the mortices we had a very basic mortice machine which was essentially a drill in a stand with a mortice attachment. I will have a good look into courses. my experience is with metalworking machines mainly. Milling machines and lathes. I have a router and table&crosscut&band saws. 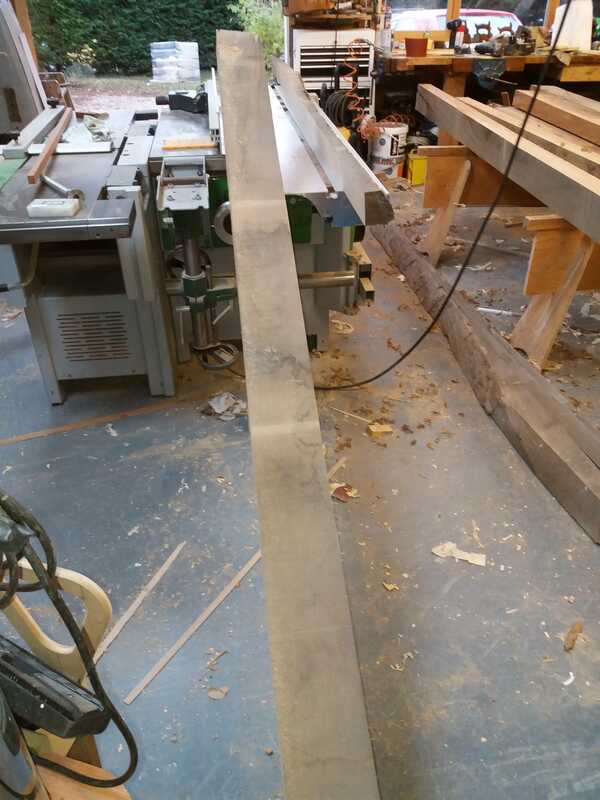 Never used a planer or mortiser. I asked the Accoya distributor about ready made profiles, when I first started looking at this. No. They don't do profiles. Not sure if anyone else does. It would certainly help! http://www.expresstimberproducts.co.uk/ ... w-Sections, not what i would go for myself because the treatment doesnt go right through the wood so any cuts you make ie: mortice and tennon joints... infact any cuts you will loose the benefit of the treatment. The softwood windows ive made i had vac-vac treated after i made them. I kept some sections of what i machined for future reference no cill section for some reason, from the left, joggle template, pine staff bead, Accoya stick on putty bead, off the shelf clear redwood pine PAR internal lining(no point spending money on Accoya for that), Accoya pully stile, parting bead and external lining, internal stick on ovolo glazing bar and finally a bit of sash section with a putty line chamfer, Accoya for the cill also. Use off the shelf draught stripped staff beads and parting beads, you can get these from Mighton/Reddiseals in Accoya/Triccoya and good old redwood for internal stuff. Plant on bars are also available along with a draught proofing system for the meeting rails. Draught proofed pully wheels also i think. https://www.wealdentool.com/acatalog/Jo ... s_110.html If you are going to internally bead your sealed units then they could make you a custom router set that will give a putty bead profile and scribe if not then one those sets will do you. Internally beading will mean some flaffing about the the top sash meeting rail i found out as i progressed, Leveller may advise on this i just did my best! If you hit a wall finding somebody local to machine the Accoya let me know we could sort something out im sure. Plenty of help here to move you along. I asked a question about the general condition of the cill and linings, i was thinking you could renovate the boxes ie: new cills and and external linings and make new sashes it may help with Building control as it would be a refurb not a full replacment. I would talk to them first myself and see what BS they will throw at you. Are you in a conservation area by any chance ? If it's a refurb then as long as it's no worse than before ...ie replacing double glazing with single glazing ....then I thought BC were out of the frame ? thatsnotafestool wrote: If it's a refurb then as long as it's no worse than before ...ie replacing double glazing with single glazing ....then I thought BC were out of the frame ? No, you still have to comply but may be able to obtain some form of relaxation from the guidance to the regulation from building control. The documentation is GUIDANCE to compliance with the regulation, it's not the only way to meet the regulation, there can be movement by agreement with Building Control. Mumford and Wood (window manufacturers) have extensive knowledge in window construction, regulation, and specification so could possibly argue a good enough case for deviating from the guidance to the regulation. Interesting. How long has that been in force as it certainly wasn't the case when I was doing stuff. Budget constraint ! I have identified a couple of options...there is one local firm that have a very good rep. and I'm tempted to simply outsource the whole project to them. Building regulations have applied to existing buildings for as long as I can remember, the guidance notes to the building regulations have been around for decades and relaxations have been applied in many cases for a long time too. Was that what you were asking about? 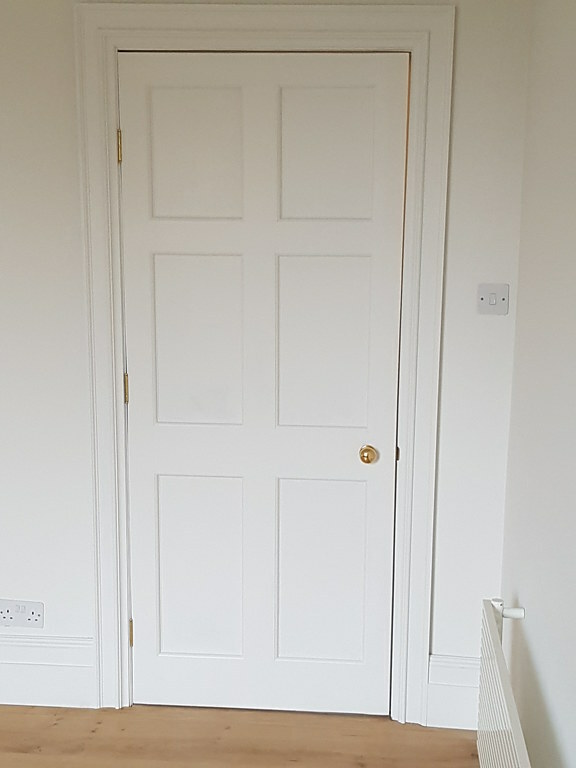 If that is your door, skirting and Architrave all I can say is Very Nice Job Roger. Shame about the handrail though could have turned out to be a very interesting thread. Thanks Jon. Some nice looking parts there. We are in a conservation area but that hasn't stopped some houses of the same era, which are right on the highstreet, having plastic windows put in! I has asked another joinery company, not local, about doing me a kit of parts and they are interested. Regarding going 100% DIY, I would actually love to have a crack at it. I love making things and, as many do, I love new toys! So I am still looking about at used combi machines. 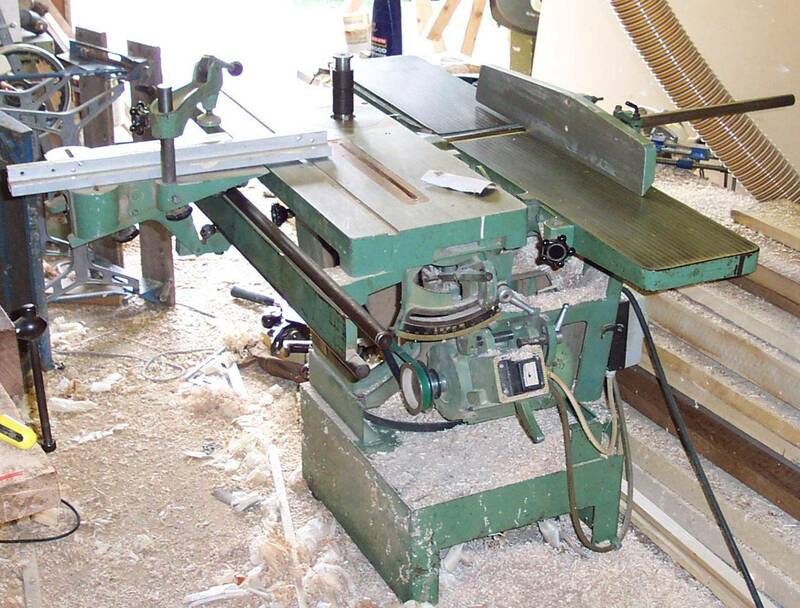 For what a decent router table costs (the lightweight ones fill me with dread) and a bench planer, I will be getting towards half the cost of a decent used combi. Either way, we'll see. If no decent machines turn up locally for reasonable money, I may well go with some more basic new kit. I don't know the official definitiation of refurb vs replace? If I retain 20% of the whole window, am I refurbishing? I wouldn't think so? I really want to put in DGU's to help a bit with the heating bill but also to reduce road noise at the front of the house. We have loads of agicultural traffic since they opened a mega dairy nearby and it starts at 4:45am... Sundays too... Again, I don't think you can call putting DGU's in refurbishment, but who knows? I'm in Kent, about five miles from Dartford (and close to JonR's workshop) and you are more than welcome to call in for an afternoon and I can talk you through my Felder and assist in any way I can. I know its a good drive but you are more than welcome. Not sure what it will go to though. I'm going to have a look at it tomorrow. Its an oldie but a good solid machine. If I win it, the seller has offered to give me some training. Many thanks for the offer to visit. The dust extractor would be very useful too and I'd also be thinking about the mortice machine as well. That felder offers a lot of machine for the money and having a nice sliding carriage on a sawing machine is a great asset for sheet material. The sliding carriage will come in useful for the spindle too. Problem is the mortiser and dust extractor end a day sooner! What if I end with dust extractor and no machine to put it on! Assuming I want to cut wedged mortises, would that mortiser do a tapered mortise? OK good point! I didn't even realise there was a difference!